I’m sure you’ve spotted a little incessant brand loyalty here and there throughout my posts by now…there are definitely those brands I’ve discovered while running this blog that I’ve consistently been impressed with to the point where I don’t ever think I’ll ever stop writing about them. Some brands come and go and change so fast you don’t know what happened, and some lose quality over time. 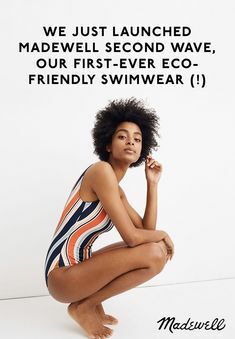 I’ve also noticed that with this eco-fashion movement, sometimes it’s hard to tell which are simply riding the marketing wave and which really do care about being more environmentally conscious. Even with the truly sustainable brands, the prices can drive out much of the potential consumers who simply aren’t able to add fresh new pieces to their wardrobe every season…and some of those brands are more on the minimal, more modern side without much variety in designs, which isn’t everyone’s taste. I’m all for spending more on less items to fill my closet with the very (beautiful) basics, but lets be real here, most of us love a fresh new piece or way to express our individual senses of style each season. 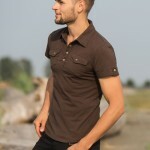 Nomads Hemp Wear is a brand that stands out in a way that addresses every one of these concerns in a uniquely beautiful way. OK guys, I’m back from vacation! As I’m sure you all know, we all often need a vacation from our vacation as it’s kind of tough to pick up the pace again after such a relaxing and memorable time, but the daily grind calls again as usual…as well as this poor blog I’ve been neglecting as other obligations took over and my much needed break finally arrived. For those who missed my last post, I was out for about two weeks on a trip up to Oregon for the week-long Global Eclipse Gathering to see the full solar eclipse, which was nothing short of spectacular! At the festival, I collected a ton of business cards for ethical and independent, handmade brands to feature here but it’s going to take me some time to sort through them all and gather material for a post. 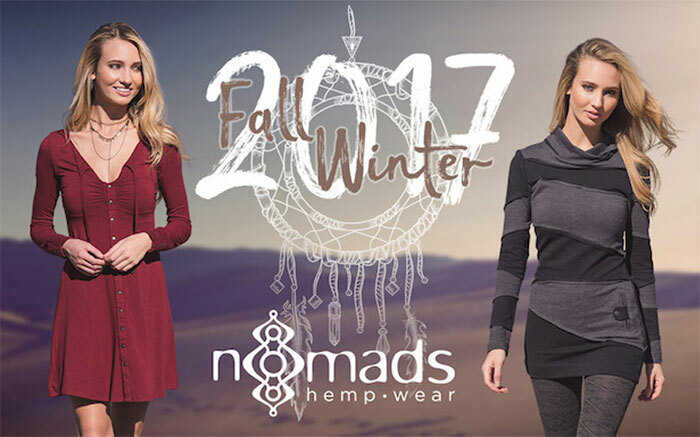 So, in the spirit of festival fashion I figured I would start things back up with one of the brands I am always so happy to feature, the Canadian-based Nomads Hemp Wear and their beautiful new Fall/Winter collection for 2017! Hello all! So I’m back from Lucidity Festival, and I gotta say it’s ridiculously tough to get back into the swing of things after that. I feel so refreshed, relaxed, and pretty inspired in a few other creative avenues I’ve been curious about exploring! One of which is apparel, thanks to all of the beautiful, unique, independent clothing vendors I shopped at the festival (right up my alley and a common subject on my blog). So, I think it’s only fitting I slowly rev back up my blog momentum with a post within that subject! I’m sure I write enough about this brand now to not have to explain my obsession right off anymore…they’ve been a favorite of mine not only for everyday wear, but also to pair with a lot of my denim reviews to round out my denim, sustainable fashion and nomadic style tastes all in one. I don’t feel that any other clothing brand bridges the gap between festival spirit and everyday casual as well as they do, and the fact that they use eco-friendly and sustainable materials like soy, bamboo, hemp and organic cotton is the huge, juicy cherry on top! I always feel like this brand was made just for me! Most brands with such positive initiatives often come at a fairly high price tag, which I understand and never mind too much, choosing to take take it as an option to shop more mindfully…sourcing such materials and mass producing them is not quite as economical as standard fashion is yet. 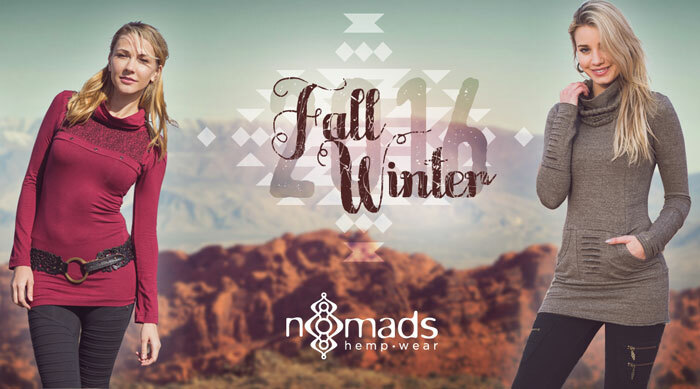 However, Nomad’s Hemp Wear is a leader to me also in the sense that they do try to keep their price point down as far as they can without sacrificing quality! With this brand, it’s all in the super sweet details. You may have seen me posting a lot about this brand…as a huge fan of sustainable style it’s up there in my top favorites. One of the reasons why is because it bridges the gap so well between festival fashion and everyday wear! The fact that it is one of the more affordable hemp, bamboo, soy and organic cotton brands out there is a huge deciding factor as well. I’ve worn pieces in several of my denim reviews (such as this one and this one), some of my outfit posts (like this one), and I featured a post about their Spring 2016 line (see that one here). I can’t think of many other brands that keep me on the edge of my seat at the end of every season, highly anticipating what’s coming out for the next! Days are just being strange as usual here in California. It was getting a little warmer for a bit as Spring hit, and now it’s getting cooler and drizzly for the weekend. 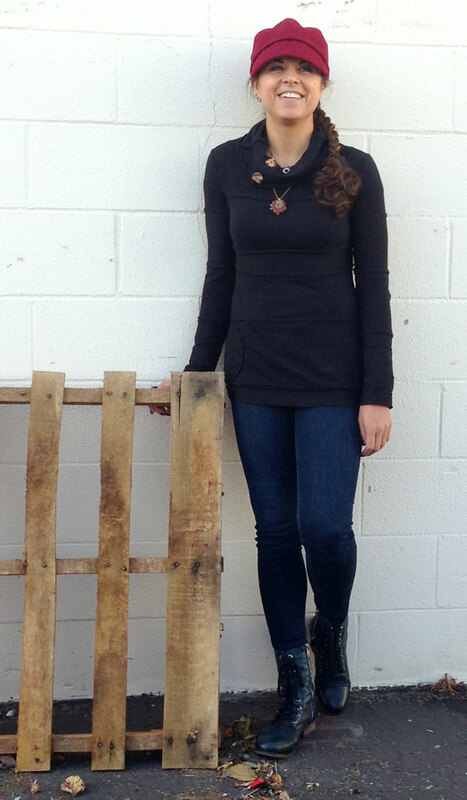 I had been waiting for the temperature to drop a little bit to once again throw on this Sequoia Sweater from Nomad’s Hemp Wear, one of my current favorite tops. I can’t get enough of that shop! Along with it is a new pair of Hudson jeans I’m breaking in, and I think they might just be my new favorite skinny. With all of the brands, famous and not as famous, that I’ve had experience reviewing and discovering at Denimology, Hudson is one of those brands that I have to revisit from time to time. Their fits are just amazing over my more athletic shape and I get a little obsessed with wanting to try all of their skinny and slim fit styles. I had been eyeing the high waist Barbara in Olympia for awhile, wanting to break away a bit from the lower rise fits for a bit and recently settled on this one. As usual, I sized down to 25 from my usual size of 26 since Hudson is known to be a bit stretchy, but this one was slightly more rigid and tough despite its tencel content. I did the usual dances and lunges to squeeze into them and they are breaking in quite nicely! The blue is dark but so pretty and vibrant, and they aren’t too high…just perfect, if you ask me! They stay put and I can tell they’ll only get better with wear. Along with it all I’m wearing my favorite necklace of all time, from Third Eye Pinecones. I wrote up a little post about them awhile back, which you can see here! 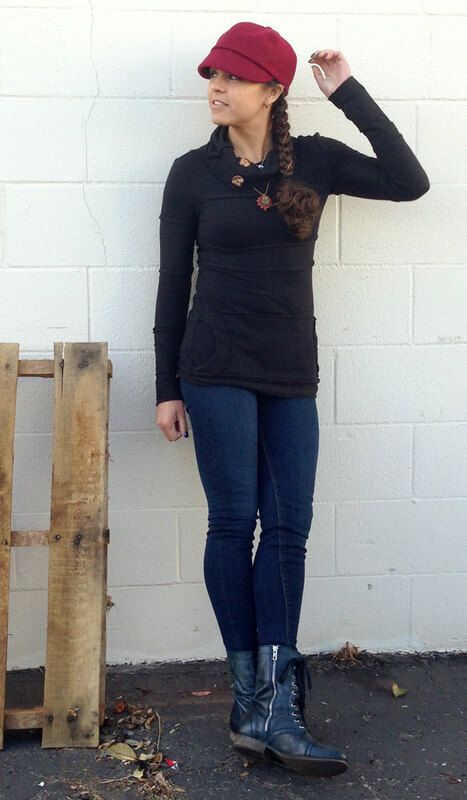 The boots are the Troopa from Steve Madden in Denim, currently sold out…it was another rad eBay find! Shop the Hudson Barbara in Olympia here. 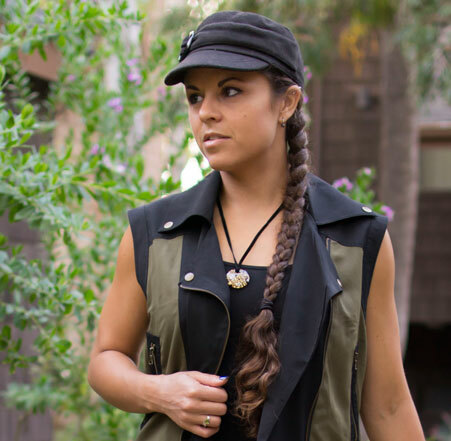 Shop Third Eye Pinecones here, and Nomad’s Hemp Wear here. With my biggest passion driving my blog (besides denim of course) being sustainable apparel, I am always keeping my eyes out for independent designers I didn’t know about or already well-established brands doing their best to make the style world a little more ethical. 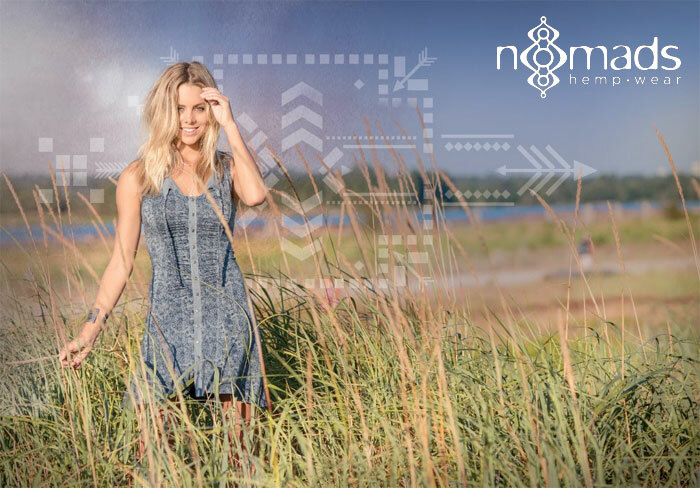 I’m fascinated by all the designers that target music festival goers (see my post about my favorite ones here), but I usually get more excited about the ones that bridge the gap between party and everyday life, like ZhenNymph, and my top favorite, Nomad’s Hemp Wear. Everything they make is perfectly balanced for everyday life and personal expression, and every season I get so stoked to see what’s up next. 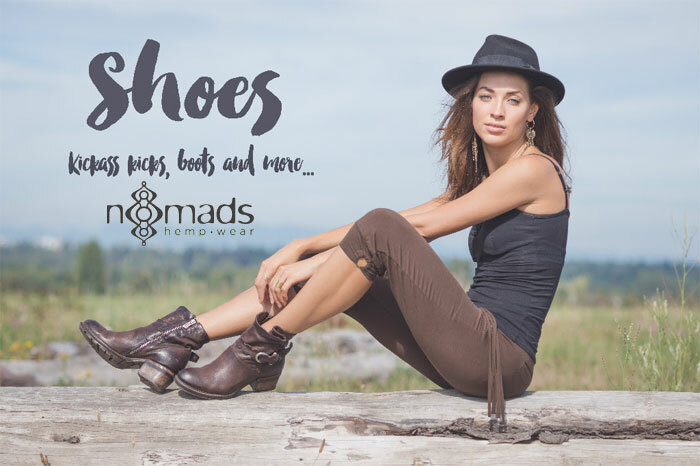 I have several pieces from Nomad’s Hemp Wear already, including some leggings, undergarments, shorts, and two tops…one of which I wore for my Joe’s Jeans Eco Friendly Cigarette review (only fitting, right?) in January. 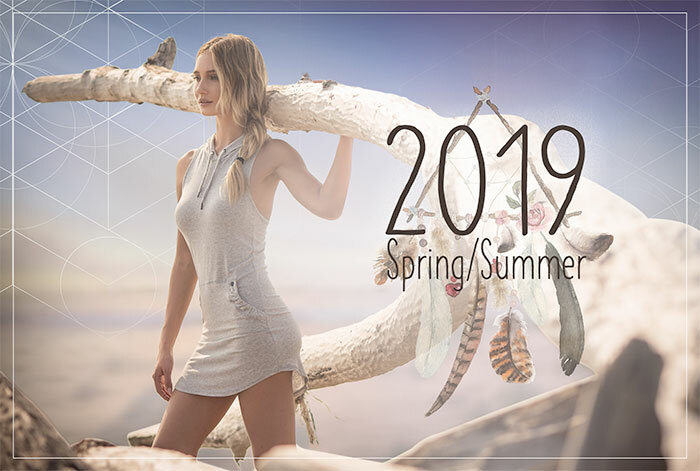 The brand has released their much-anticipated Spring 2016 collection, which both introduces more drool-worthy styles as well as updates to popular and well-loved looks. Nomad’s Hemp Wear was born in 2000 out of the back of a small VW van, in a true nomadic lifestyle. Through this, they grew to appreciate living sustainably, with the support of close friends and in harmony with nature. Hemp was kind of a new concept at the time, lacking global awareness, but was beginning to gain ground in the apparel industry although most pieces made out of hemp were thick, lifeless and a bit boring. The young Nomad’s Hemp Wear was inspired to take it to new levels, creating comfortable, quality, well fitting pieces to fit a tribal/urban aesthetic. 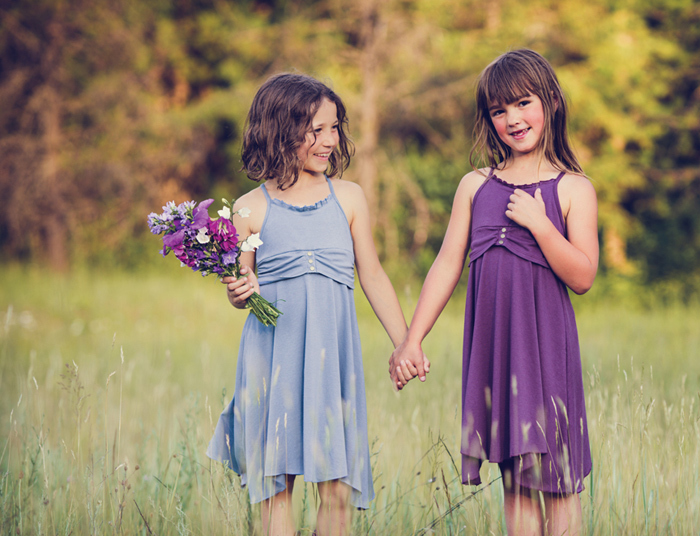 Although they’ve grown in popularity around the world, they still retain a grassroots feel, keeping a valuable one-on-one presence through their customer service (which I will vouch for…they respond to emails in minutes, if not seconds!). 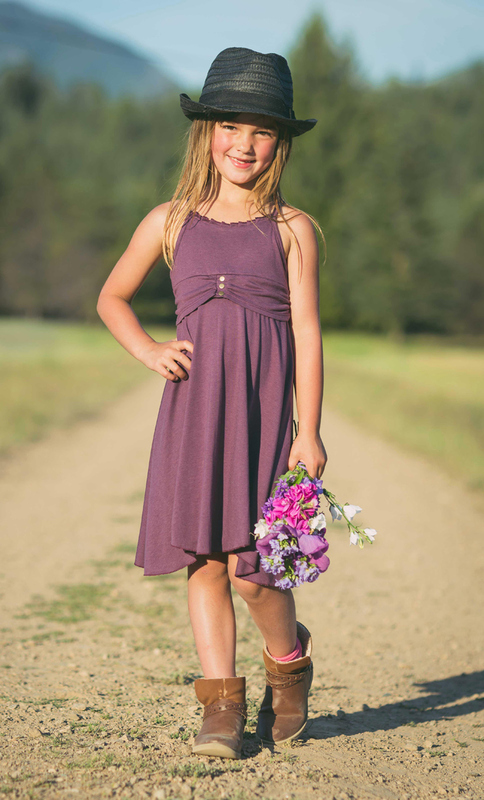 Currently located in Canada, Nomad’s now employs not only hemp but also other sustainable fabrics such as organic cotton, soy and the ultra soft and stretchy bamboo—for women, men and kids! 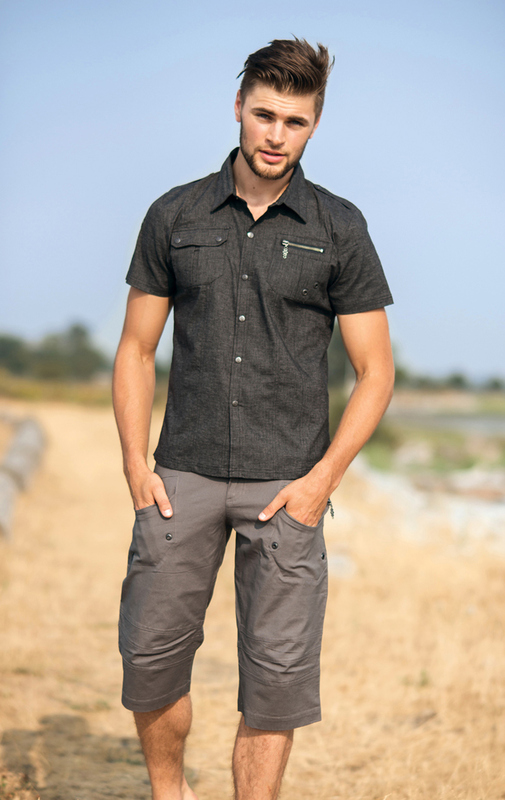 Every piece I own from this brand is of unquestionable quality, and these sustainable fabrics are so soft to the touch. I can tell they will last me for years and years to come; not only in durability, but also in style..they are all classic enough to be worn anytime, anywhere and with anything, but with just the right amount of uniqueness and character to take your outfit to the next level. Fan for life here, indeed! 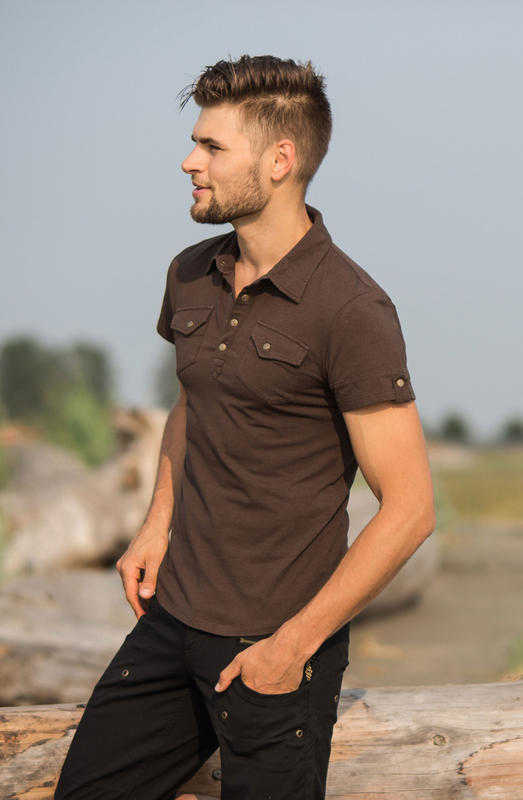 I think I see a pattern here with this urban nomad apparel thing…Remember my post about VALO last month? I just love brands like this! Here are my favorites from the new Spring 2016 line, with more below in a slideshow. 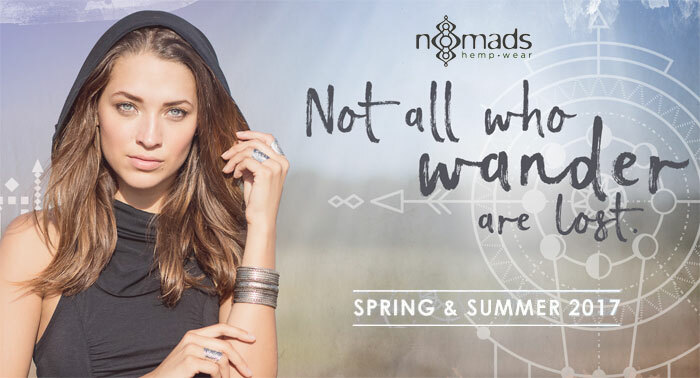 Shop Nomad’s Hemp Wear here!